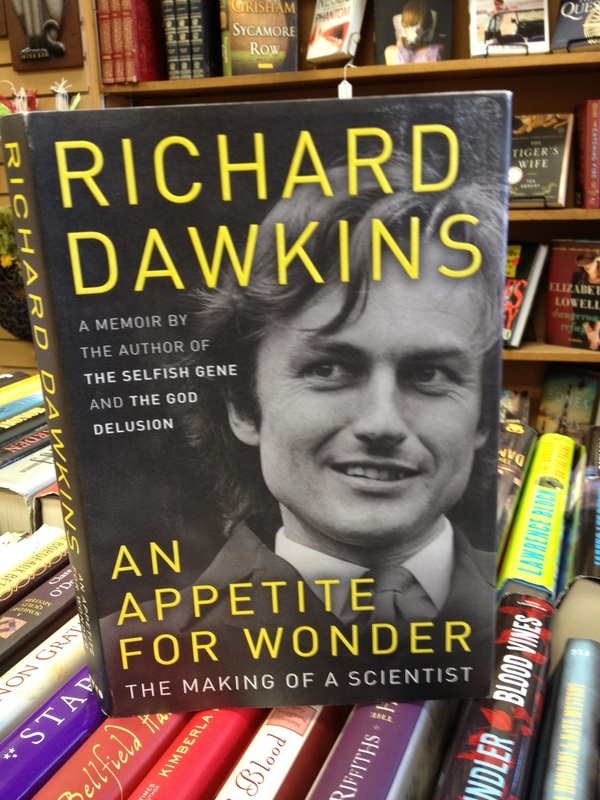 An Appetite For Wonder is the 2013 memoir of Richard Dawkins, author of The Selfish Gene and The God Delusion. An Appetite For Wonder is an intimate personal view of Dawkins’ life from a childhood in Africa through his intellectual development at Oxford to the publication of his first book. Included are stories of his parents, grandparents, and other family members (no less interesting than his own) and a plethora of nostalgic photographs. A fascinating new arrival at The Book Shop. Just in today is the bestseller Bear Grylls: Mud, Sweat, and Tears in hardcover. Best known as the star of Man vs. Wild, he’s a former UK Special Forces paratrooper and has survived where few would dare to go. The Book Shop price is $9.45.